Jayda G - Significant Changes. Vinyl LP, CD. Bleep. After building excitement for the past few years with a seemingly endless run of great EPs, Berlin-based Canadian producer Jayda G now comes through with her debut full-length Significant Changes. It’s an album that doesn’t disappoint - this is a lush set of DJ-friendly tunes that will satisfy new and old fans alike. Significant Changes is anchored with the sort of ebullient dancefloor fillers on which Jayda G has made her name. A fair few of the cuts here invoke classic Moodymann in the way that they combine deep house, funk and disco with effortless cool. Anyone who enjoyed G’s 2018 collaboration with Alexa Dash will be pleased to see the latter show up for two guest features, and from the evidence of lead single ‘Leave Room 2 Breathe’ the pair have come to tear the roof off the club. It’s a tune that will have you feeling like it’s 1988 in Chicago all over again. The enhanced scale of a full-length also allows her to indulge her more contemplative side. While most of the cuts on Significant Changes are party-orientated rollers, a few of them also incorporate the evocative synths of Balearic house. The moments when these show up give the record a sense of wistful introspection. There are even a couple of numbers here where she allows the beats to melt away and leaves the listener with the kind of gentle, oceanic soundscapes that one finds in the work of Kaitlyn Aurelia Smith. 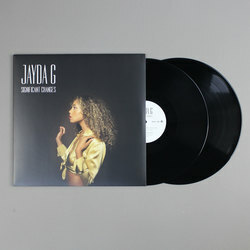 Significant Changes is a hugely impressive first LP from Jayda G - and one that may prove to be one of the best electronic music releases of 2019.